N.Q. Steelstocks manufacture all types of equipment for working and handling cattle. 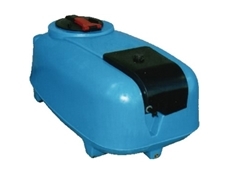 Rain Again Tanks have a range of water tanks including slimline tanks, round tanks and molasses tanks. Rain Again Tanks also come in a range of sizes from 890L to 30, 600L. 27/10/11 - These tanks are specifically engineered for the storage and transportation of high density molasses for farming needs. 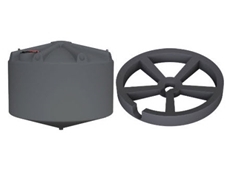 16/07/08 - Gough Plastics offers material handling equipment such as forkliftable cubes, hoppers, drums, bunds, transportable tanks, tubs and trays. Gough Plastics offers forkliftable cubes which are available in hinged, fixed or removable lid options. 15/07/08 - Gough Plastics offers hybrid toilet systems which is a stand alone toilet facility that is functional and user friendly.